I had to whip out the fabulous End of the Rainbow Die-namics and the super cute Inside & Out Stitched Stars. I added plenty of rainbow color and built on the sentiment with a small segment of a sentiment from Magical Unicorns stamp set. 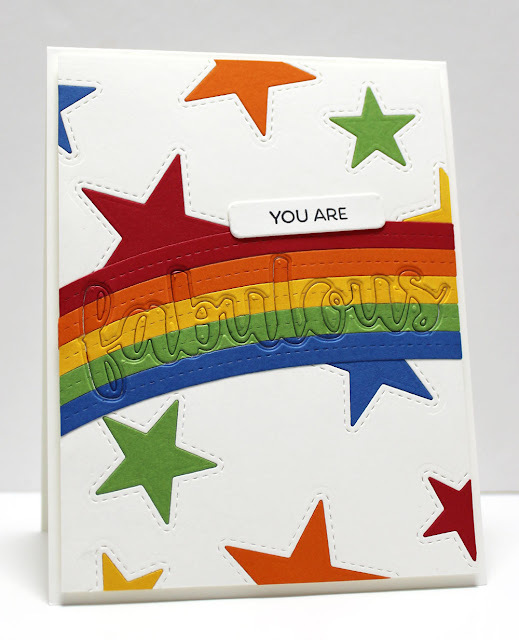 The Absolutely Fabulous Die-namics was cut into the rainbow, but I didn't remove any of the pieces. Love this! So colourful and fun!